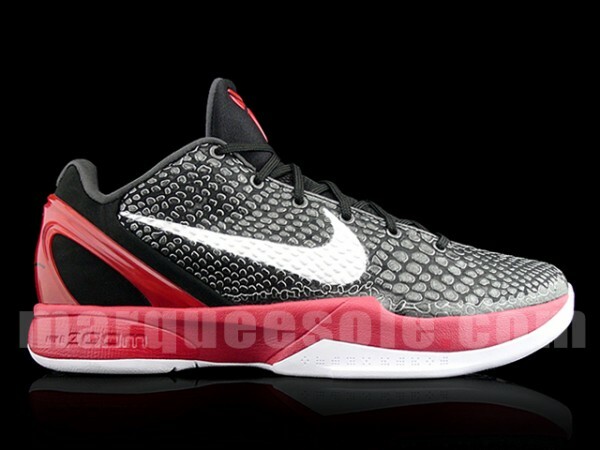 New images surface of the Varsity Red Zoom Kobe VI. 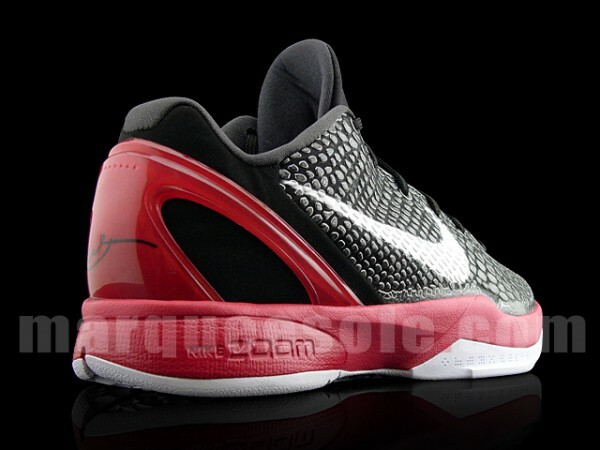 Earlier this month, Sole Collector gave you the first look at the upcoming Black/Varsity Red-White Zoom Kobe VI. 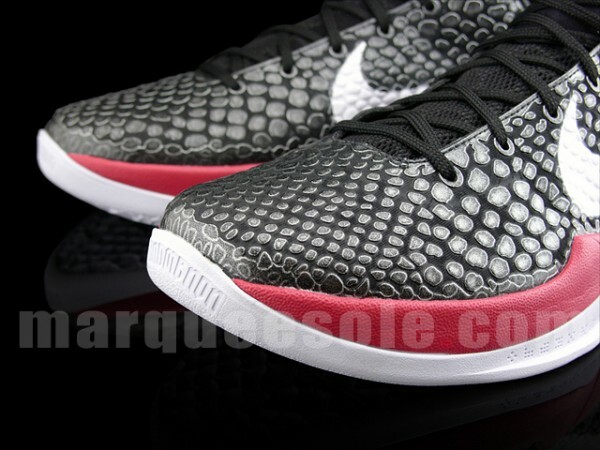 The shoe sports a black snakeskin textured upper with varsity red accenting the external heel counter, tongue branding and midsole. White, the remaining color from the often-seen sneaker trio, takes care of the Swoosh and outsole. 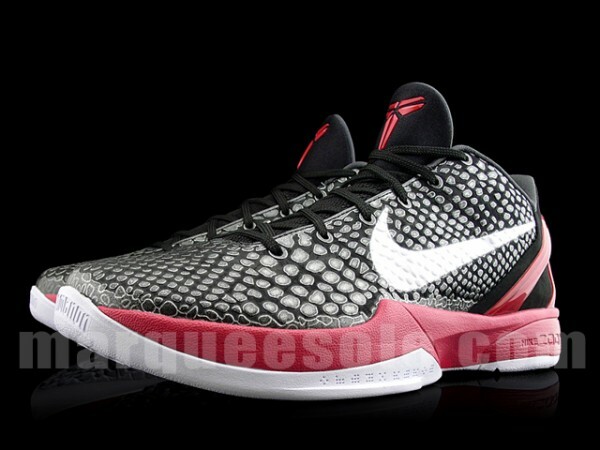 Check out new images of the new Kobe colorway below and look out for a Spring 2011 drop.